10 Best Free Movie Apps For Android – Watch Movies Now! Now that the world has itself firmly in the groove of the digital era, the streaming of videos, music and other media has become the gold-star standard for our entertainment experience. You can watch some of the best movies and listen to the most popular music free right now using any of these 10 Android apps. When it comes to streaming content, the number of ways that we can go about it is almost dizzying to think about. Most of the time, we only think about the paid subscription services for content; constantly advertised and thrown in our faces, it’s impossible to escape the popularity of such companies as Hulu, Netflix, Crunchyroll, HBO Now, and others that have made a fortune by offering subscription-based content libraries for you to stream from practically any smartphone or computer. However, therein lies the problem with having all of this media spread across so many services. Given that few of them are offering the same content as their competition, you the viewer are expected to maintain subscriptions to as many as required in order to have access to what you want to watch or listen to. It’s definitely not a scam; it’s just the digital marketplace at work, and it’s a landscape that’s not likely to change anytime soon. Even though it doesn’t benefit we consumers a great deal, it doesn’t change the fact that we can still stream content on demand, which is a remarkable step forward from the previous era’s entertainment experiences. Still, the state of the digital market has attracted the attention of app developers who’d rather get you the content you want free, and those apps are the most widely available (and accessible) through the Android operating system. Is this method of accessing media legal? That’s up in the air, and as we’re about to list 10 entirely separate apps, the answer is going to change for each of them. However, I’ll elaborate upon the topic at the end of this list, hopefully clearing an otherwise muddy water that’s been convoluted by unclear copyright laws. Before that, though, let’s go through a plethora of apps that can give you access to the content that you want, each initially free of any charge or subscription price. It should be noted that, although each of these apps can be loaded into the Android operating system, the way that you go about it might differ between them. Some can be found on the Google Play store while others will require you to find a separate .apk to download and then “sideload” into the Android OS. We’re less concerned about methods and means, here, but we’ve written about a few of them on Appamatix before. For those that we haven’t, plentiful resources are available online regarding how to get access to them and install them on your device. Without further ado, let’s get to the apps! This is likely the premiere “free” entertainment streaming app that’s currently circulating the web. Though it’s exceptionally popular and often talked about, it’s not the easiest of these ten apps to acquire. You won’t be able to find ShowBox on the Google Play store; instead, this is one of the apps you’ll have to find a .apk for and then sideload onto your device. After you do this, though, you’ll have access to a massive wealth of movies and television shows that you won’t be able to find anywhere else. We’ve written about the method required to install ShowBox on a Windows PC; since that requires Android emulation, it will also be helpful in showing you how to get the app on your Android device. This one is another popular up-and-comer that’s actually available for you to download on the Google Play store. Additionally, TubiTV has a massive library of content that’s constantly being updated and modified; so much, in fact, that you’re unlikely to ever get through everything the app has to offer. 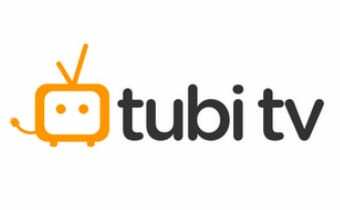 As advertised, TubiTV is most definitely free, a quality balanced out by its similarity to other services such as Netflix and Hulu. Because it carries no subscription cost, you’ll have to wade through regular ads while watching your content, but this is a small price to pay for legal access to so much good entertainment! Crackle is very similar to TubiTV in the way that it works. You’ll have free, legal access to a huge library of films and television to watch on your Android device, but you’ll have to tolerate a meager amount of advertising in order to access it. In addition to its backlog of media, Crackle also is dipping into the “featured and developed content” market, similar to Netflix’s recent success. 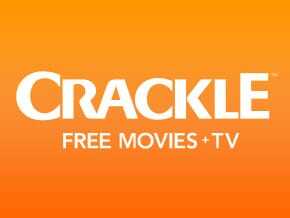 This will give you access to television programs unavailable anywhere else, making Crackle an appealing download on your Android device. Though it’s not the most popular streaming service available, Viewster remains one of my favorites. The app’s quirky collection of culturally relevant (and popular!) content has kept a mainstay of interested users since it first started offering media streaming. You’ll find a library of excellent anime, movies, short films, and other programs that you’re not likely to find anywhere else. Like many other free movie and media apps that are also legal, you’ll have to put up with regular advertisements during your streaming. As ever, it’s a small price to pay for a risk-free experience that’s available right in the Google Play store. Hubi isn’t exactly a streaming service, and it’s not exactly a library of films and television content either. Instead, consider Hubi as an agent that connects you with the content that you want to watch through various avenues. The app is available in the Google Play store, but instead of giving you direct access, it instead links you to contact hosts, where you can stream or download the content that you want. Since you’re able to download the content yourself, you can also use any video player you’d like to view that content. On the downside, any disruption that occurs for the host of any given content will also disrupt your ability to stream or download it. Still, as an app that’s available in the Google Play store, it’s hard to go wrong with Hubi. First things first: Flipps is another ad-supported service. With that out of the way, let’s commend this particular streaming app for being legitimately fantastic as well as completely legal. (Your first sign should be that it’s available on Google Play.) 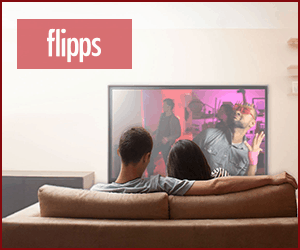 Flipps partners with television and other content providers in order to give you high-quality streams of what you want to watch. Additionally, for those occasions where you’d prefer to view your movies, tv shows, and other media on a larger screen, the app makes it very easy to stream to your TV. 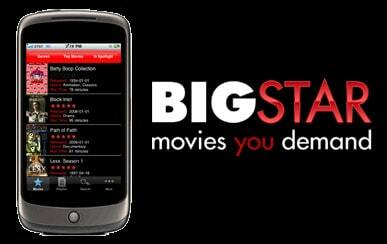 Like Viewster above, BigStar is another one of my favorite apps. In addition to its free offerings, it also gives you the chance to pay a meager “premium” fee that gives you wider access to content and also removes the advertising from your content. You won’t find the newest and biggest films on BigStar, but you’ll find a fantastic selection of lesser known (but nonetheless great) films, including many foreign flicks and indie movies. If you’re in the mood for something fresh, exciting, and unexpected, I absolutely recommend BigStar. While PopcornTime’s presentation is fantastic, it’s an app that brings us back into the murky waters of questionable legality. While the app is easy to find and download for a myriad number of devices, the way that it delivers content to you is a little bit fishy. Rather than drawing upon its own library of available movies and television shows, Popcorn Time uses torrent filesharing in order to get your media to you. While torrent sharing itself is perfectly legal, some of the files that are shared through it are in violation of copyright law. As with any service that’s a bit fishy in its activities, I urge you to be cautious when using this particular app, even though it’s an exceptionally high-quality streaming service. Compared to the other apps on this list, Kodi is something of an odd duck. Though it wouldn’t have made my top 10 if it didn’t give you access to an extensive buffet of entertainment media, the reason that I’ve decided to include it is the app’s addon support. Billed as “open source home theater software” (and formerly known as XBMC), Kodi doesn’t actually have a content library to give you access to. Instead, it depends upon you to link the application with your own media. Or, you can use one of the many third-party add-ons (remember, Kodi is open-source) to gain access to huge swaths of movies and television shows across the internet. Because of the way that most users access their content through Kodi–through these add-ons–this app also takes many users into the murky area of potential copyright violation. Therefore, I urge you to be careful! Kodi is an interesting, capable app that will reward you for better learning how to use it. I debated for a while about whether or not to add YouTube to this list, but in my opinion, we can’t talk about free video content unless we talk about the pioneer that helped to make it such a massive trend. Apart from perhaps Netflix, no other online presence has so drastically impacted and changed the way that we engage with digital media. You’ll find a little bit of everything on YouTube, which is part of what makes it fantastic. Music videos? Check. Films? Check. Literally anything that its millions of users have deemed worthy of sharing? Check. It has endless potential thank to its dependence upon the ingenuity of its users and has absolutely earned its place on this top 10 list. While I’ve definitely tried to shed some light on this issue as we’ve examined these 10 excellent apps, the topic still deserves some elaboration. There’s a safe rule that I typically stand by regarding the legality of content that you’re accessing and streaming: if you had to go somewhere besides an app store in order to get it, it’s probably not legal. The fact that it can’t be openly distributed even on a market as wide-open as Google Play should be sign enough that the legality of the app is questionable. With all of these apps readily available for you to access, there’s no reason that you can’t start watching your favorite movies right now. Though these are certainly my top 10 free Android apps for streaming content, others certainly exist; add your own favorites (or questions) to the comments below!